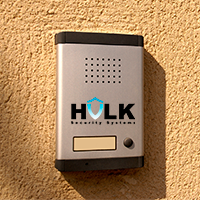 Hulk Security Systems installs a variety of security solutions for New York, including security gates NYC. Just like there are many different types of other security products, the same is true for security gates. These include garage gates, roll-down gates, window gates, electrical gates and remote controlled gates, fire exit gates, air conditioners gates and gates for the yard. Our high standards of service provide you with excellent security products like these at an affordable cost. Everything is installed by the top professionals in home security for New York residences and businesses. Security gates NYC are just a part of a complete security system. You will also need superior locks and locksmith services, which we provide with the utmost level of quality. Alarm systems are essential and so are CCTV camera systems and access control for larger homes or businesses. Home security in New York can include various types of gates for added protection and businesses and use security gates to protect their investments from being stolen by careless criminals. Keeping New York safe is our primary goal and that is why we offer the best in security for NYC. Find out about our amazing gate solutions today. We can be there in no time to offer you a free estimate.